BOPP Film (Heat Sealable Film)(BOPP Film) - Chau-Fu Plastics Co., Ltd.
Superior clarity and gloss, excellent tensile strength, high speed packaging, water-proof, lightness, thinner film those are BOPP features. 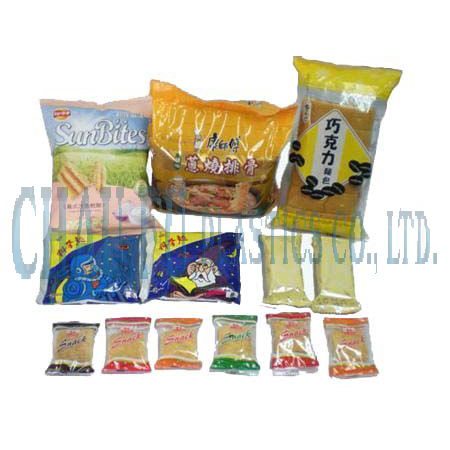 And it’s heat sealable performance often used in three side sealed and extensively apply in bread packaging, cigarette outer packaging film, instant noodles packaging, textile products, stationary, daily supplies, food products. It’s designed as all-purpose packaging material that suits for high speed packaging machine and it can replace aluminum foil after electroplated. It’s excellent for printing and use in laminates.